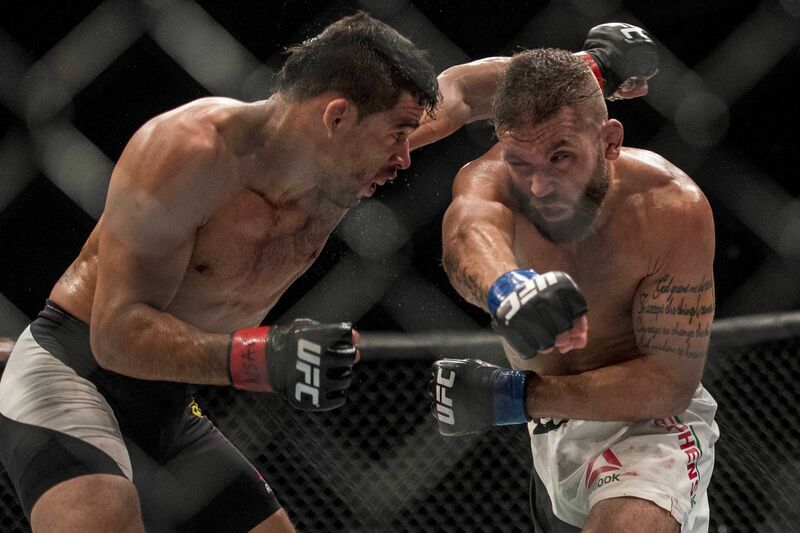 Jeremy Stephens is one of the heaviest hitters in the lower weight classes, a guy who’s gone toe-to-toe with the best of them in a UFC stint which dates back nearly a decade. So he’s willing to give former UFC bantamweight champion Renan Barao credit for his toughess, as the two slugged it out in a Fight of the Night performance Sunday at UFC Fight Night 88. But he also believes he broke Barao’s will in the latter’s featherweight debut, making the difference in Stephens’ unanimous decision win in Las Vegas. Stephens pointed out that he wasn’t able to do what T.J. Dillashaw did too Barao twice at 135, which is finish Barao. For his part, Stephens, who has been through several ups and downs in his UFC stint, said he put himself into Barao’s mindset as he approached the fight, which proved to be a winning mental approach.